vacation, you can’t stay at the typical, bland hotel. Most know about the many Jamaica negril villas that populate Jamaica Negril beach, but it is important that you find one that will offer you privacy, seclusion, location and comfort, and there is only one of the Negril Jamaica villas that does, the Beach House Villas! 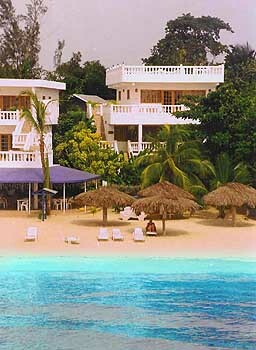 Unlike other Negril Jamaica villa, the Beach House Villas are located right on the beach. The soothing sounds of the ocean will lull you to sleep each night as you lay in one of our comfortable beds, just a stone’s throw from the water. Most Jamaica Negril Villas cannot offer the experience that you will have at the Beach House Villas, so make your Negril Jamaica vacation a special one and stay at the beautiful Beach House Villas!